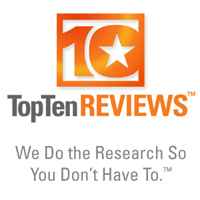 Pinpointe makes it to CIO Review’s 20 Most Promising Digital Marketing Solution Providers 2014 – an annual list that showcases the 20 Most Promising Digital Marketing Solution Providers focused on offering Marketing Solutions. 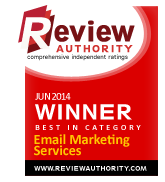 Pinpointe was the #1 ranked email marketing service for businesses for three years in a row. New feature additions also earned Pinpointe the spot as top-ranked email marketing vendor for business communications. 4.7 out of 5 Stars based on 15 Pinpointe customer reviews. Review Authority evaluates and ranks consumer products and services to assist consumers in making the right decision in their purchases. Thousands of companies have improved their email results with Pinpointe. View previous on-demand email marketing webinars on Pinpointe’s email marketing blog.